A cup of tea provides a hot pick-me-up during a break, and many people prepare their tea with one or two packets of sugar to add sweetness. The calories in this beverage may contribute toward your daily nutritional requirements. An 8-oz. cup for tea prepared with two packets of sugar contains 32 calories. This accounts for 1 to 2 percent of the calories you would consume in a day if you are following a 2,000-calorie diet. Almost all of the calories in a cup of tea with two sugars come from carbohydrates. One serving contains 8 g of this nutrient, or 7 percent of the 130 g recommended by the Institute of Medicine for daily consumption. This portion of tea also provides you with 88 mg of potassium and 7 mg of sodium. 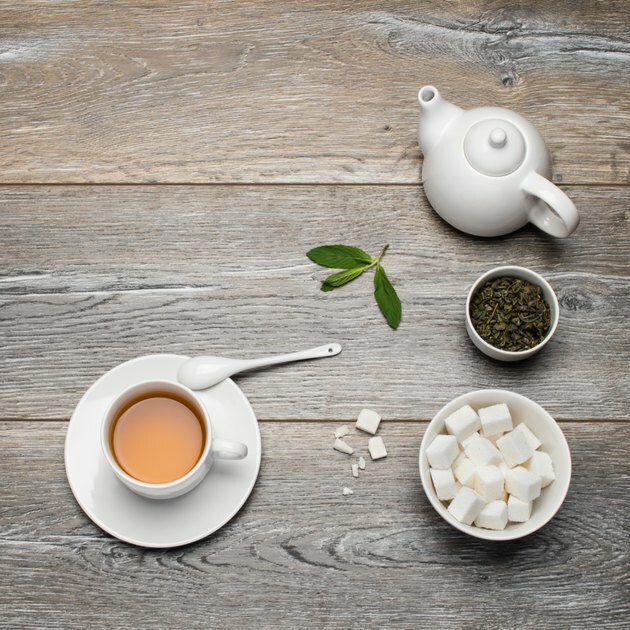 According to the CalorieKing website, you may burn off the calories in a serving of tea with two sugars by walking for nine minutes, riding your bicycle for five minutes, jogging for three minutes or swimming for two minutes.